A new puzzle game is set to hit shop shelves on June 1st. Meteos: Disney Magic Screens is a puzzle game that is to be realised on Nintendo DS. 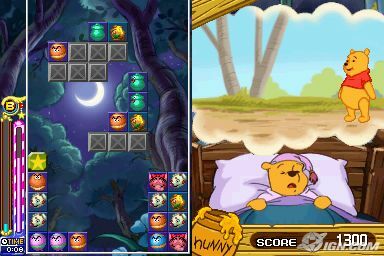 The game features all of your favorite Disney characters such as Winnie the Pooh and Toy Story. The Nintendo Official Magazine UK reviewed the game and gave it a score of 79%.